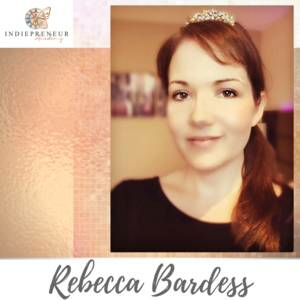 Rebecca Bardess is a Coach and Writer from Britain and is the Founder of Indiepreneur Academy. She started out as one of the original Dot Com Pioneers in the 1990s, specialising in marketing luxury brands in an informal and fun way, using attraction marketing principles and blogging. On the creative front, Rebecca has hit Amazon Bestseller lists in multiple countries, been a magazine columnist for magazines in the business and creative niches, and sung on stage for thousands of people. She now runs Indiepreneur Academy, where she helps solo entrepreneurs and creatives to master their mindset, make more money online, and create lives with greater meaning. She's proud to be a Kajabi Hero, and invested right at the start as one of the Founders.